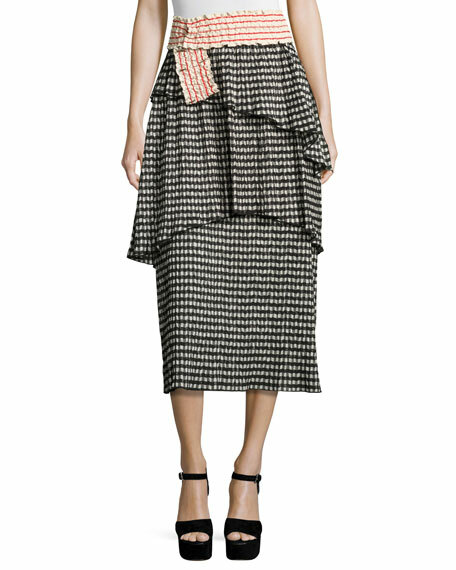 Rosie Assoulin crinkled gingham check-print skirt. 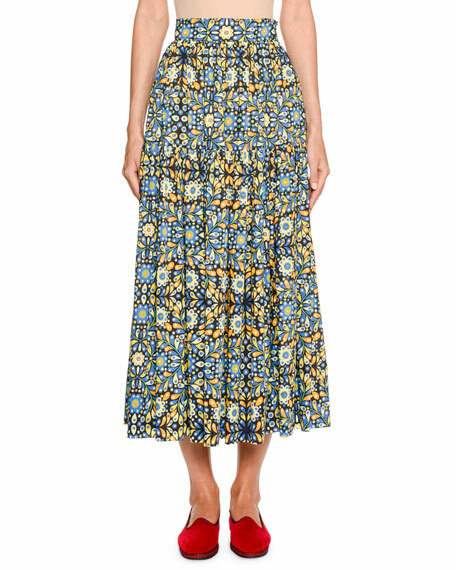 Double J skirt in floral kaleidoscope print metallic cotton-poplin. Wide band sits high on natural waist. 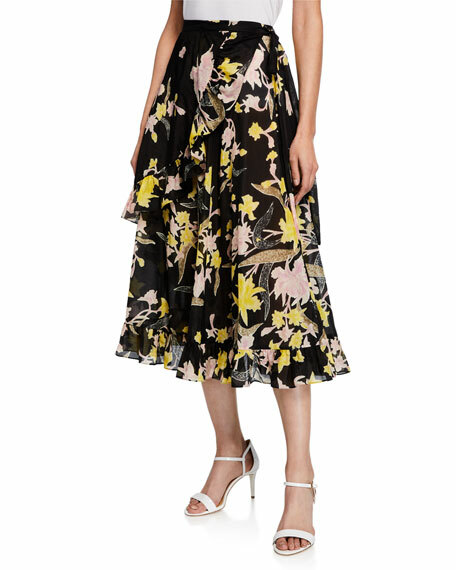 Ball skirt silhouette with deep pleats Single tiered hem. Button/zip fly. Midi length. Cotton. Made in Italy. 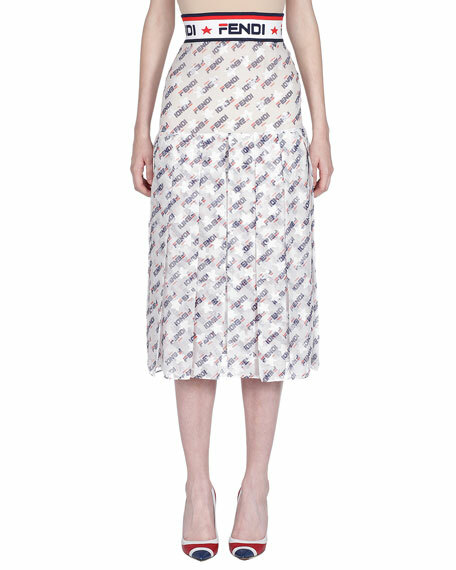 Fendi skirt with Fendi Mania logo print on satin. Logo embroidered elastic waistband. Drop waist. 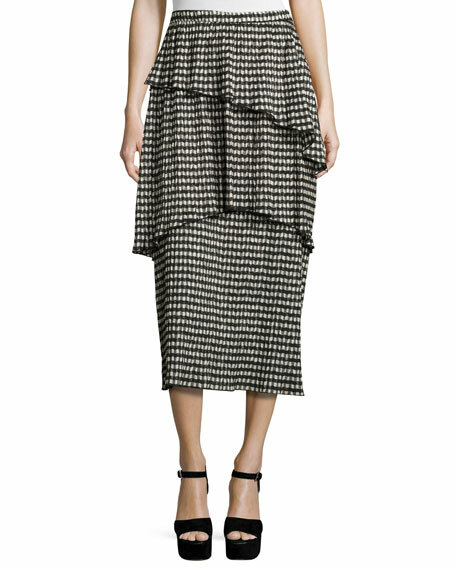 Pleated silhouette Midi length. Back zip. Silk/acetate. Trim, polyester/nylon/spandex. Lining, cotton. Made in Italy. 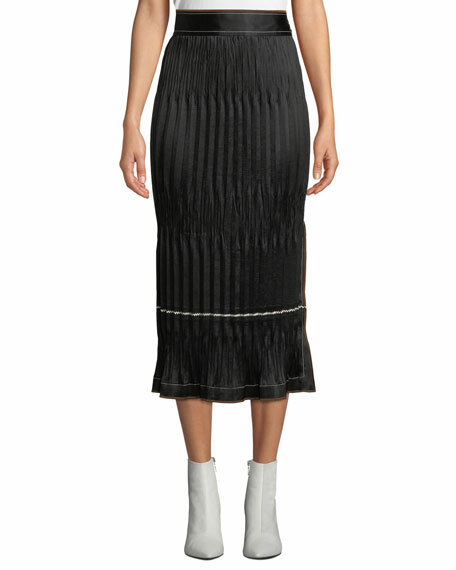 Helmut Lang pleated skirt in crinkled satin with contrast topstitch detailing. 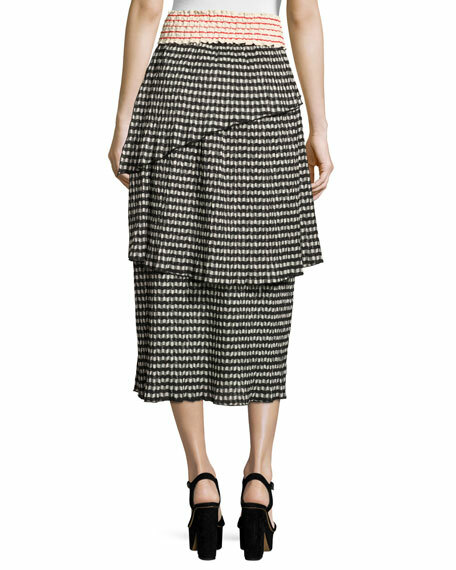 Wide waistband; exposed button closure. Straight silhouette. Side slit at left. Midi length. Side zip. Triacetate/polyester. Dry clean. Imported.